With no coach courtside, Anders Antonsen still found a way to outplay world #1 Kento Momota and take his first World Tour title. It was as if men’s singles top seed Kento Momota was playing against a host shuttler. 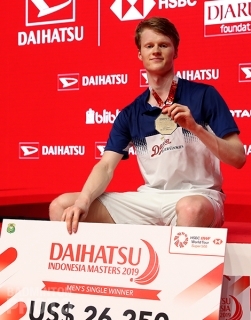 The spectators in the Istora Senayan were overwhelming cheering in support of underdog Anders Antonsen, who played with no coach during the 2019 Indonesia Masters. “It was such a pleasure to play here. 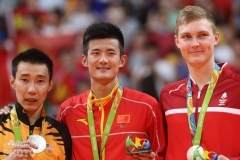 We Danish players are always excited to play in this iconic place,” said 21-year-old shuttler afterward. Antonsen, whose biggest title before last week was the 2016 Scottish Open Grand Prix, controlled the first game against the reigning World Champion. Momota kept the score close for most of the way but then Antonsen surged ahead and his net shot ended the first game 21-16. In the second game, however, Momota played faster and had more control in the beginning of the game. He opened up a 7-0 lead and ended up taking the game 21-14. The deciding game was another tight one for both players until Antonsen reached the interval leading 11-8. The Dane then managed to open up a bit of a margin, benefiting from his opponent’s errors. “It was a tiring match. 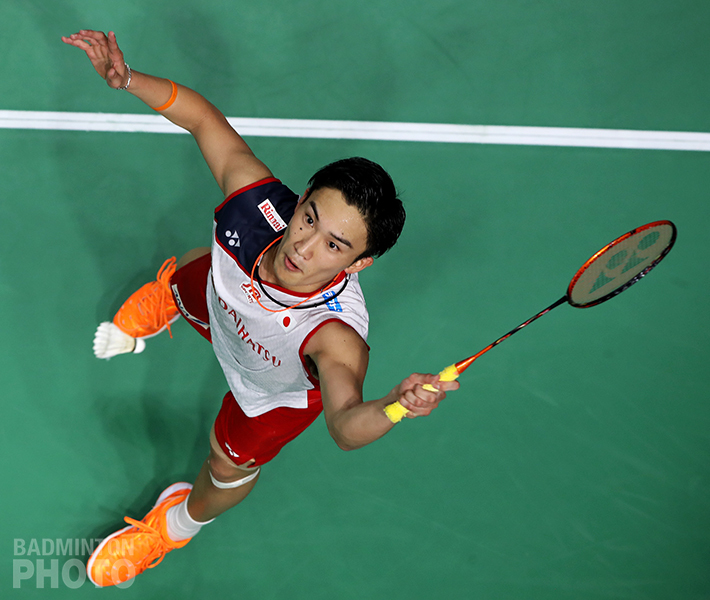 I lost my stamina in the last game, so it was hard for me to move more actively grab the shuttle,” Momota explained. An unsuccessful return from Momota allowed Antonsen to take the last game 21-16, and with it the Indonesia Masters Super 500 title, his first in any event with total prize money in six figures. 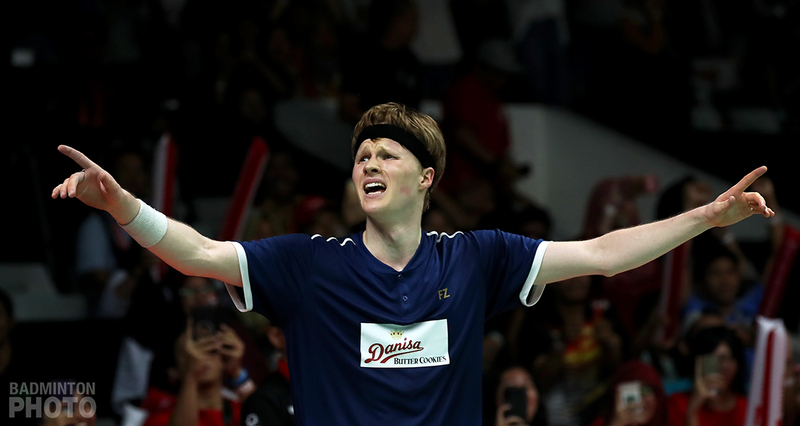 Having lost all 3 previous matches to Momota, Antonsen had still always given the world #1 a good match and he thought he would have chance to beat the top-seeded Japanese shuttler: “It was crazy and sad to do alone. 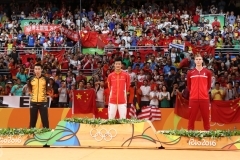 I was just trying to keep calm and control my thoughts during the match in every breath I took,” Antonsen commented. He stressed again how special it was to get the title in the iconic stadium, Istora Senayan. Marcus Fernaldi Gideon and Kevin Sanjaya Sukamuljo gave no quarter to their compatriots in the men’s doubles final. Every shot from Mohammad Ahsan / Hendra Setiawan was overcome well. “The game was exciting since we played fast, especially in the first game,” Gideon commented. Even so, the score was tight up to the second game interval. 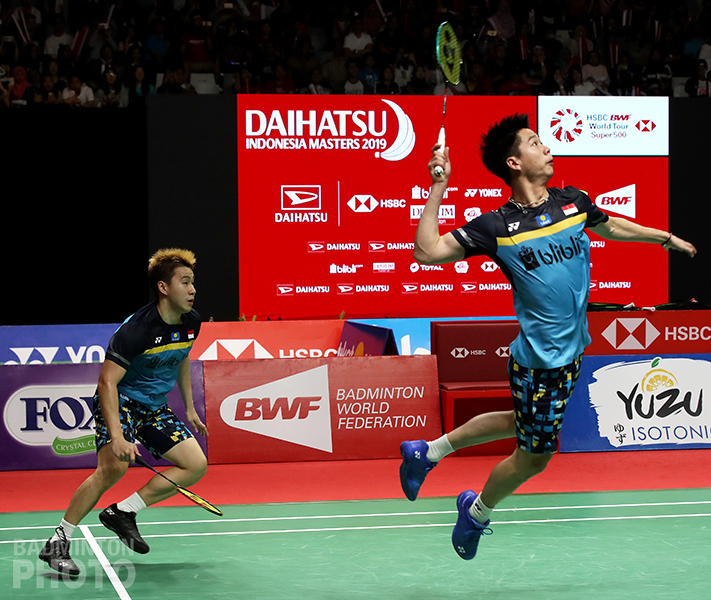 But Ahsan/Setiawan, after being within striking distance only 10-11 behind, were not able to catch back up as their opponents’ defense was just too solid. 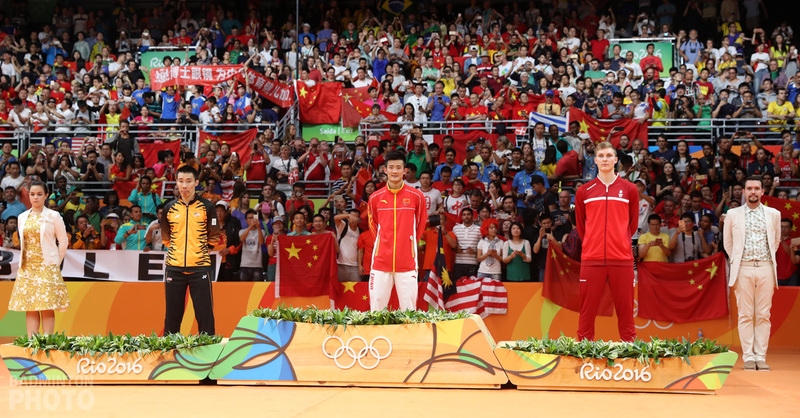 The Asian Games champions sealed the second game even more convincingly 21-11. 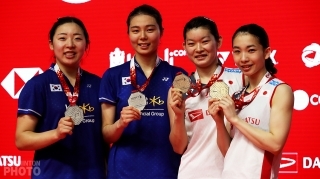 The afternoon in Jakarta started off with the women’s doubles final between Rio Olympic gold medallists Matsutomo / Ayaka Takahashi and Korea’s Kim So Yeong / Kong Hee Yong. 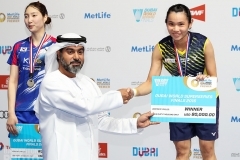 It was in fact the biggest career final for the more experienced Kim, while Kong had played in one Superseries final in 2017. The tight score and loud support from the spectators made the first game exciting for both pairs. After blowing a 7-point lead and being caught at 17-all, Matsumoto/Takahashi were able to regain their consistency and take the opener 21-19. “We know how good this pair is since they played in the semi-final. 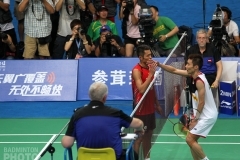 They are tough pair to beat,” Matsumoto commented. Takahashi added that their opponents still played great in the final, but fortunately she and her partner were able to use their strategy to win the match. 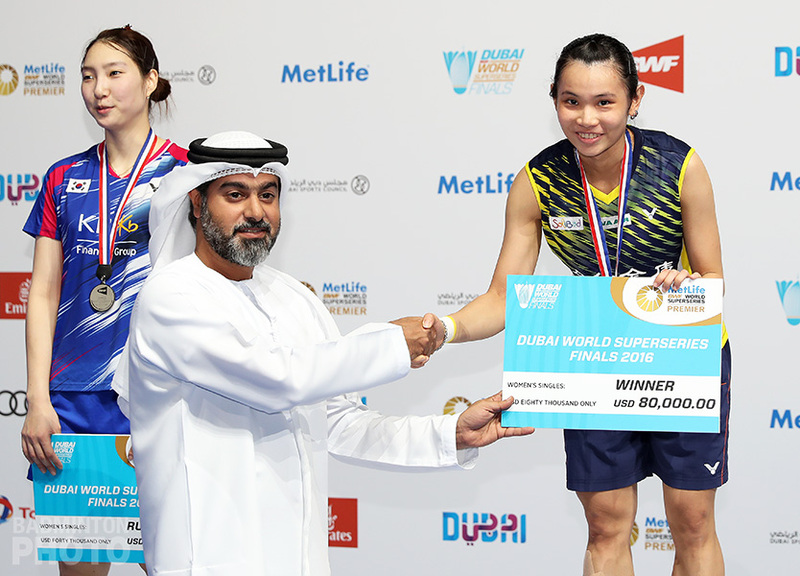 “After reversing our result in the semi-final against Polii and Rahayu, who we think are a great pair, we had the spirit to play well and win the final,” said Matsutomo. 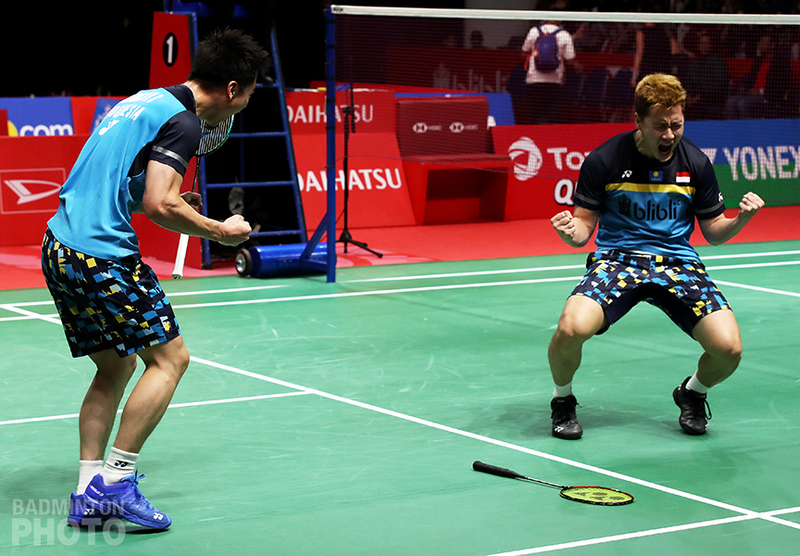 Leading 11-9 at the second game interval, Matsutomo/Takahashi then maintained the lead and sealed the win at 21-15. The Indonesia Masters title is preparation for the world #2 women’s doubles pair toward the race to the 2020 Olympics in Tokyo.